A new investigation into the special forces raid targeting Al-Qaeda militants in Yemen has found the the operation went “dreadfully wrong,” killing nine children under the age of 13, with the youngest victim a three-month-old baby. 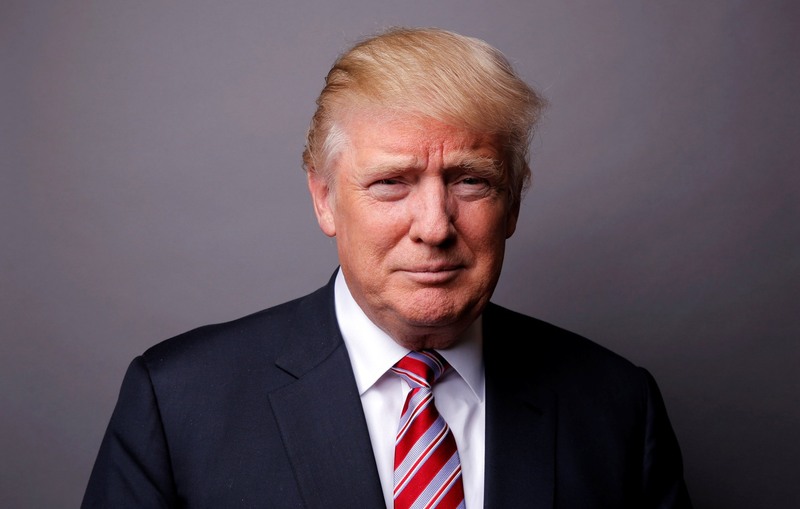 In the first military operation authorized under President Trump, U.S. commandos launched a raid on an Al-Qaeda in the Arabian Peninsula stronghold (AQAP) in the al-Bayda province, leaving at least 25 civilians dead, as well as a U.S. soldier. But new evidence from the Bureau of Investigative Journalism (BIJ) reveals the extent of the mission’s collateral damage. As U.S. forces embarked on the raid after weeks of preparation, targeting what they believed was an Al-Qaeda compound, their cover was blown. An armed battle began in the dark of night. AQAP militants fired from rooftops, leading the U.S. to call in an airstrike on a building that likely caused civilian casualties, U.S. military officials told CNN. The U.S.’s $75 million Osprey aircraft was destroyed as they sought top AQAP militants; their ultimate target was reportedly AQAP chief Qasim al Raymi. The report is in stark contrast to the Trump administration’s claim that the raid was “absolutely a success." Working with journalist on the ground who visited the site of the raid five days later, the BIJ has collected the names and ages of all civilians killed, as well as photos of homes wrecked by helicopter gunship fire. 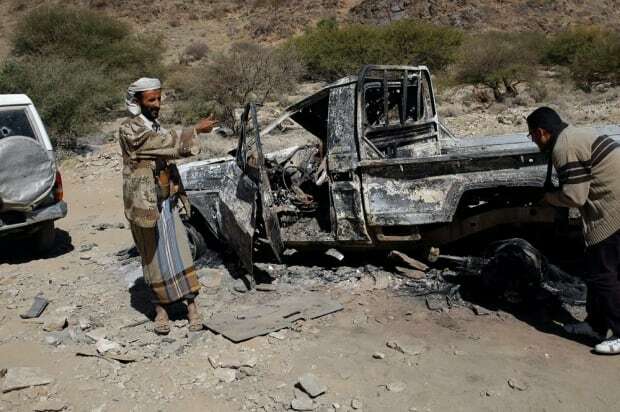 The report states that AQAP, known as Al-Qaeda's most dangerous wing, reported losses of 14 militants in the firefight. Villagers said that 25 civilians killed were not members of AQAP. Beside the nine children killed, U.S. forces killed eight women, including one who was pregnant, they said. Villagers reported the victims as three-month-old Asma Fahad Ali al Ameri; Aisha Mohammed Abdallah al Ameri, 4; Halima Hussein al Aifa al Emeri, Hussein Mohammed Abdallah Mabkhout al Ameri, both 5; Mursil Abedraboh Masad al Ameri, 6; Khajija Abdallah Mabkhout al Ameri, 7; Nawar Anwar al Awlaqi, 8; Ahmed Abdelilah Ahmed al Dahab, 11; Nasser Abdallah Ahmed al Dahab, 12. The raid caused an outcry in Yemen, with officials describing it as a “failure.” The Yemeni government denied reports that it had banned U.S. ground operations in the country but rights groups have said that the raid will have a long-lasting impact in the country, inspiring greater recruitment for Al-Qaeda and further anti-Western sentiment. WASHINGTON – The Pentagon is assessing reports out of Yemen that the special operations raid that U.S. troops conducted over the weekend against an al-Qaida target killed more than a dozen civilians, a Defense Department spokesman said Monday. The U.S. raid on a compound controlled by al-Qaida’s Arabian Peninsula affiliate, which has expanded its territory in Yemen amid a two-year civil war between rival factions, led to the deaths of at least 14 of the group’s fighters and the collection of a trove of intelligence information, said Navy Capt. Jeff Davis, a Pentagon spokesman. One U.S. special operator was killed during the raid and three others were injured by enemy fire. The Pentagon has not identified the servicemembers. “The raid yielded valuable captured materials from the site that will help us gain a deeper insight into the group’s planning, to help us prevent terrorist attacks against innocent civilians in the U.S. and our partner nations,” Davis said Monday. It was unclear how many civilians might have been killed in the pre-dawn raid in the rural Bayda province of southwestern Yemen. A report cited on the UN Office for the Coordination of Humanitarian Affairs' website indicated up to 16 civilians were killed. According to the Reuters news agency, Yemeni officials claimed 30 civilians were killed, including 10 women and three children. Davis confirmed women were among the dead in the incident, but he said they were clearly trained combatants who opened fire on the U.S. troops. The Pentagon is aware of the allegations that children were among the casualties, Davis said. The U.S. military typically conducts an initial investigation into any reports of civilian casualties. If it finds there is evidence for supporting the claims that civilians were killed or injured, it will launch an official command investigation. The raid followed at least three airstrikes conducted in Bayda province since President Donald Trump was sworn into office Jan. 20. Davis said the operation had been planned for several months, and did not indicate any shift in strategy against al-Qaida in Yemen from the Barack Obama administration, which typically favored drone strikes over boots-on-the-ground operations. Al-Qaida in the Arabian Peninsula has conducted terrorist attacks against western targets in the past, most notably the January 2015 attack on the Charlie Hebdo publication in Paris that left 12 people dead and 11 more injured. Three additional U.S. troops were injured in Yemen in a related incident. The servicemembers were hurt when an MV-22 Osprey tilt-rotor aircraft made a “hard landing” at a nearby staging area where they were preparing to evacuate troops involved in the raid. Initially, the Pentagon reported only one servicemember had been injured in the landing that left the aircraft inoperable. Davis did not provide specific information about the injuries. The Osprey was intentionally destroyed on the ground by a U.S. airstrike after troops determined it was unable to be flown out of the area, Davis said. The main figure killed in last month's U.S. raid in Yemen targeting al-Qaeda was a tribal leader who was allied to the country's U.S.- and Saudi-backed president and had been enlisted to fight Yemen's Shia rebels, according to military officials, tribal figures and relatives. The raid illustrated the murkiness in distinguishing al-Qaeda in Yemen, where the terror group has built up ties of one degree or another with the country's many tribes — and has often used anger over civilians killed in American airstrikes to gain recruits. Al-Qaeda has also emerged as a de facto ally of the government of President Abed Rabbo Mansour Hadi and his backers Saudi Arabia and the United Arab Emirates against the Shia rebels in a grueling civil war that has wreaked devastation, caused widespread hunger and killed more than 10,000 since late 2014. The result has been a tolerance for the militants after several years of the government cracking down on them. Since al-Qaeda's branch in Yemen began in 2007, it has sought to strengthen alliances with the country's tribes, using money, family connections and fear. Some tribes join it, some use it against rivals, some cooperate with it, and some shun it. Some tribes split. Complicating matters further, al-Qaeda militants have been fighting the Shia rebels since 2015 informally alongside pro-Hadi forces. They often operate closely with ultraconservative Islamist militias funded by Hadi's allies Saudi Arabia and the United Arab Emirates. That has enabled them to move back into areas they were previously driven out of, including Bayda province. In Yakla, there was some al-Qaeda presence. At least six of those killed in the raid were al-Qaeda fighters, according to a list put out by the group's leader, though some witnesses said they arrived on the scene after the battle started. Also, a female Saudi al-Qaeda militant who fled her homeland in 2013 was being sheltered in the home of a tribesman whose son was also a member, according to tribal leaders and officials. A senior U.S. defence official said the assault was not targeting a particular individual and was geared toward — and succeeded in — capturing intelligence. The official spoke on condition of anonymity to discuss the operation. U.S. Central Command said 14 al-Qaeda militants were killed. It counted among them al-Dhahab and his brother Sultan, calling them "top operational planners and weapons experts." 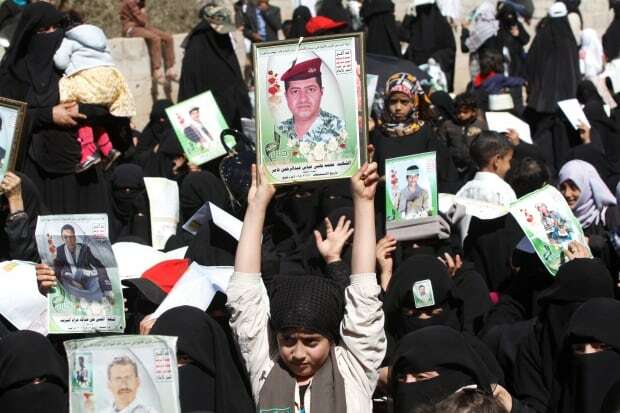 But Yemenis in the village called the raid an intelligence failure. "If you want to hunt al-Qaeda, you can find them in the surrounding mountains not in this small village ... The Americans' information was wrong," said Aziz Mabkhout, the village chief. Parts of the al-Dhahab clan have long been connected to al-Qaeda. But in a public ceremony aired on Yemeni TV in 2013, Abdel-Raouf, Sultan and another brother announced an accord with the governor of Bayda province to force al-Qaeda out of the area. During five days of talks with the military, al-Dhahab — who commands a force of some 800 tribal fighters — was given around 15 million Yemeni riyals ($60,000 US) to pay his men in the fight against the rebels, al-Qasi and the two officials said. He returned home to Yakla and the evening before the raid, al-Qasi distributed the money to the fighters. The al-Dhahab clan is a powerful force in Bayda province, originally made up of 18 brothers and half-brothers. The family had long been split in a struggle for leadership, with one part joining al-Qaeda. At least three of the brothers were senior al-Qaeda figures, two of them killed in U.S. drone strikes and a third, Tareq, killed in a family dispute. Giving al-Qaeda further leverage in the family, one of the sisters was married to Anwar al-Awlaki, a Yemeni-American who was the branch's top propagandist until he was killed in a 2011 drone strike. But Abdel-Raouf, who became the clan's leader in 2012 after Tareq's death, repeatedly denied belonging to al-Qaeda. He was mistrusted by al-Qaeda because he didn't swear allegiance to its leader and had links to the government, according to a relative and a prominent figure from another tribe in the area. They spoke to the AP on condition of anonymity for fear of trouble with the terror group. The centre of the raid appeared to be six houses belonging to al-Dhahab family and Abdullah Mabkhout al-Ameri, head of another prominent local family. One of al-Ameri's sons, Mohammed, an al-Qaeda member, was home at the time of the raid, according to several villagers. Also staying in an annex to the house were the fugitive Saudi female jihadi, Arwa al-Baghdadi, her brother — also an al-Qaeda militant — and his pregnant wife and their niece. The tribal leaders and officials said they believed Mohammed had housed them. Caught in the al-Dhahabi house was a delegation of 15 men from another family who had come seeking al-Dhahab's mediation for the release of a relative snatched by al-Qaeda. The family's leader, Sheikh Seif al-Joufi, in his 80s, stepped out of the house and was shot dead, according to several witnesses. From the al-Dhahab family, besides Abdel-Raouf and Sultan, three children were killed, including Anwaar al-Awlaki, the eight-year-old daughter of Anwar al-Awlaki. Al-Awlaki's elder son, 16-year-old Abdel-Rahman, was killed by a drone in 2011. Hadi's government spokesman, Rageh Badi, did not reply to the AP's request for comment. AP emails to the vice-president's office also received no reply. The father of a U.S. Navy SEAL killed during an anti-terrorism raid in Yemen demanded an investigation into its planning and slammed President Trump for the timing of the operation. Bill Owens said in an interview with the Miami Herald on Sunday that he refused to meet with Trump when he visited the Dover Air Force Base to receive the casket carrying his son, Chief Special Warfare Officer William “Ryan” Owens. “The government owes my son an investigation,” Owens, a retired Fort Lauderdale police detective and veteran, told the Herald. The younger Owens, a 36-year-old married father of three, was the only U.S. victim in the Jan. 27 raid on a suspected Al Qaeda compound. At least 16 civilians and 14 militants were killed in the operation, which the Pentagon said was aimed at capturing information on potential Al Qaeda attacks against the U.S. and its allies. The elder Owens told the newspaper he refused to meet with the president because the family had requested a private ceremony. "I'm sorry, I don't want to see him," Owens recalled telling the chaplain who informed him that Trump was on his way from Washington. "I told them I don't want to meet the president." He said he was also troubled by the attack Trump leveled at Khizr and Ghazala Kahn, an American Muslim family whose Army officer son died in Iraq in 2004. The couple had criticized him at the Democratic National Convention last summer. He also questioned why the president approved the raid a week after taking office. "I told them I didn't want to make a scene about it, but my conscience wouldn't let me talk to him," Owens told the Herald. "Why at this time did there have to be this stupid mission when it wasn't even barely a week into his administration? Why? For two years prior, there were no boots on the ground in Yemen — everything was missiles and drones — because there was not a target worth one American life. Now, all of a sudden we had to make this grand display?" White House spokeswoman Sarah Huckabee Sanders told ABC’s “The Week” on Sunday that she believes the president would support an investigation, but defended the raid. “I can't imagine what this father is going through," she said. "His son is a true American hero, and we should forever be in his son's debt." The White House says the raid was planned during the Obama administration, but the former president's aides have said he hadn't given the go-ahead because it would have been an escalation of U.S. involvement in the war-torn and destitute Arab country. "The mission has a lot of different critics, but it did yield a substantial amount of very important intel and resources that helped save American lives and other lives," Sanders said. “I haven't had the chance to speak with him directly about that, but I would imagine that he would be supportive of that,” Sanders said of Trump. The raid — billed as an intelligence-gathering operation on the militant group — turned into an hour-long gunfight as Navy SEALs and troops from the United Arab Emirates clashed with well-entrenched al-Qaeda fighters. Owens reportedly died in the exchange of gunfire. Five other service members were wounded by hostile fire and a hard landing after a Marine transport aircraft crashed near the raid site. Sanders said that as a parent, she can’t imagine the loss Owens’s parents are facing. 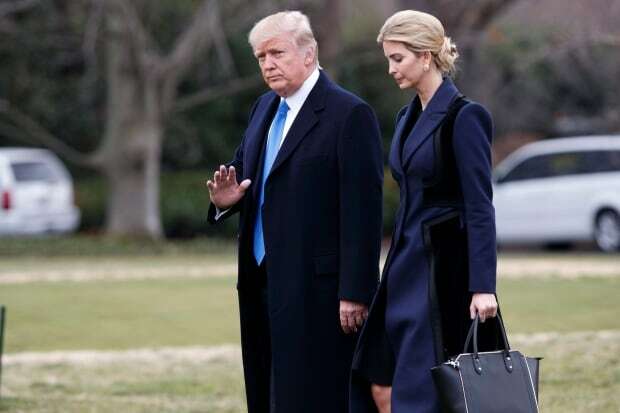 In the Miami Herald interview, Bill Owens said he avoided a chance to meet with Trump when the president and his daughter Ivanka Trump came to Dover Air Force Base to pay his respects to Owens’s family. It’s not clear what such an inquiry would entail. The Defense Department routinely reviews missions that result in death, but a larger formal investigation of combat deaths is rare, and it does not appear that one was started after Owens’s death. His father, however, appears to be calling for a formal inquiry into the decision-making process for the raid, which probably means it would fall on Congress to open an investigation. Efforts by The Washington Post to reach Bill Owens on Sunday were unsuccessful. Sanders did not respond to a request later in the day Sunday to elaborate on what might be involved. In recent weeks, White House officials have steadfastly defended the raid as a success. At a news briefing this month, White House press secretary Sean Spicer repeatedly called the raid “a huge success” and said that anyone who said otherwise does “a disservice” to the Navy SEAL who lost his life in the hostilities. The planning for the raid started under the Obama administration, when the Pentagon began preparing for a broader campaign to go after al-Qaeda in Yemen after last year’s U.S.-Emirati operation that retook the Yemeni port city of Mukalla from the extremist group. Although the White House has said the specific plan for the raid had been pushed from Obama to Trump because of the mission’s specific timing — namely, a night with no moon — Obama administration officials have debated this account. Obama’s National Security Council, the officials said, had seen only broad plans for future operations in Yemen. Yemeni officials said the operation killed 15 women and children, including the 8-year-old daughter of the Yemeni American cleric Anwar ­al-Awlaki, who was killed in 2011 in a U.S. drone strike. Photos of the dead civilians were posted on social media after the raid. Although the Pentagon initially denied reports of dead civilians, officials acknowledged in the days following the raid that some had been killed and that they had begun a formal investigation. Last week, Human Rights Watch called for an inquiry of the civilian deaths and said that the United States must account for possible law-of-war violations. » Mike Nova's Shared NewsLinks: How broken are Democrats?